Shredder Waste Bags for Ideal 2200 2201 2350 2400 2401 Shredder's. Shredder bags suitable for shredder models IDEAL 2200, 2201, 2350, 2400, 2401. Ideal manufacturers recommended. These bags are strong and sturdy to hold the required amount of shredded paper. We sell other shredder consumables including shredder oil (“products” – “consumables” – “shredding consumables” – “shredder oil”) and also sell spare parts. 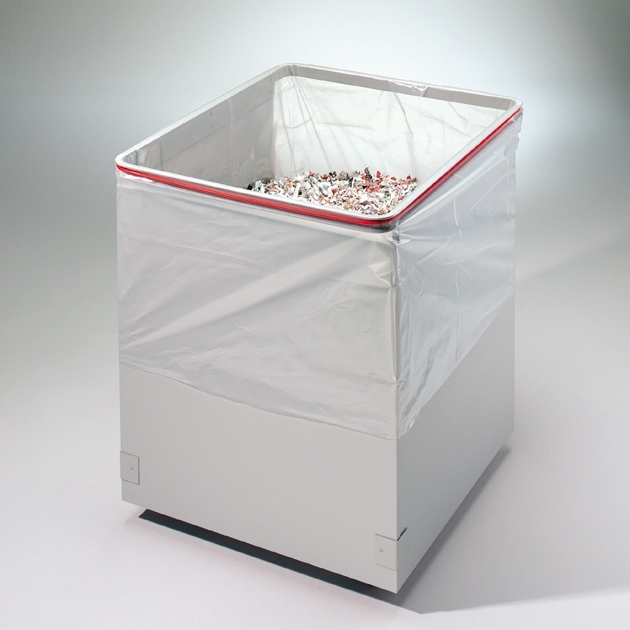 Shredder bags suitable for shredder models IDEAL 2200, 2201, 2350, 2400, 2401. Quantity of 50 bags.